LUXURY CONDO FOR SALE. 1st floor condo in a 2 unit detached bldg. New interior and exterior materials. Separate entry to each unit w/ open concept kitchen/dining/living, high-end appliance, granite counter tops, custom cabinetry, gas fireplace and lots of natural light. Two bedrooms, 2 full baths, in-unit laundry. New oak floors. hot air, gas heat and a/c. From the kitchen access the first floor sitting porch & stairs to a ground-level, private, outdoor patio. Large extra bsmt. storage. No expense spared with pgrm. thermostat, spray foam insulation in roof & side walls, low maint. vinyl siding, Storage shed. No common electric. Paved on-site/parking, 2 deeded spaces per unit. Perfect condo for 1st time home buyers & empty nesters!. Close to Boston & convenient to Salem St., bus routes. minutes drive to Rte. 93. Join us this Sunday 12-2 pm. Listing provided courtesy of Richard Wolfson, Richard Wolfson Real Estate. Real Estate Listing at 50 Ashland #1 Medford, MA 02155. 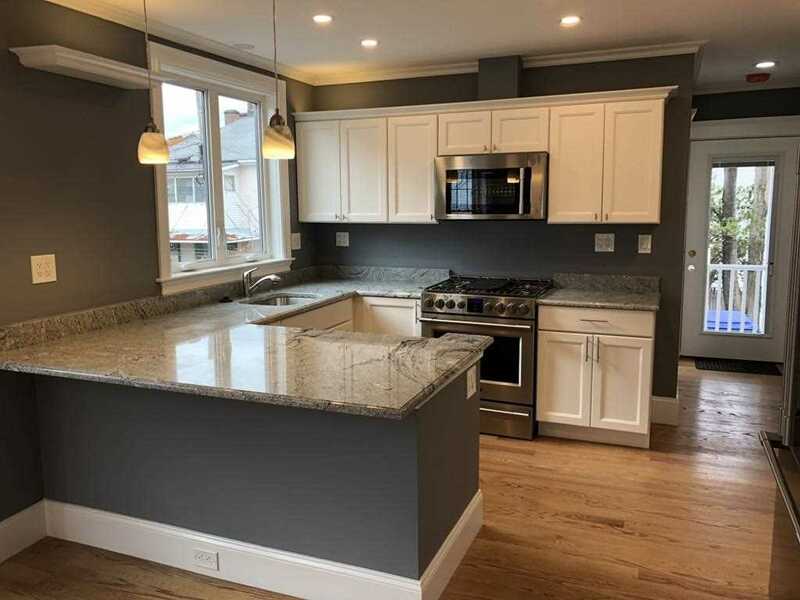 Description: The real estate listing at 50 Ashland #1 Medford, MA 02155 with the MLS# 72416839 is currently listed for $542,500 and has been on the Medford market for 66 days. You are viewing the details of the real estate listing from MLSPIN at 50 Ashland #1 Medford, MA 02155, which features 2 bedrooms, 2 bathrooms, and has approximately 1000 sq.ft. of living area.